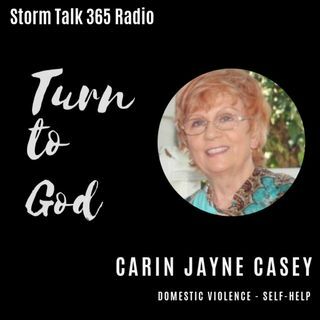 In “Turn to God with Carin,” Carin Jayne Casey asks us to look at our own heartbreaks from betrayal to imagine what Jesus experienced on the day of crucifixion. He understands and will never leave us! We’re encouraged to use our pain to imagine how our Lord feels when we turn away for our own (worldly) ways. Repent! Jesus speaks against being lukewarm. The choice is to follow Jesus or not, knowing God disciplines those He loves. Jesus also instructs no ... See More one can serve two masters; it is either we chose one or the other. Chose Christ!